Ok, I just had to laugh when I saw this!! 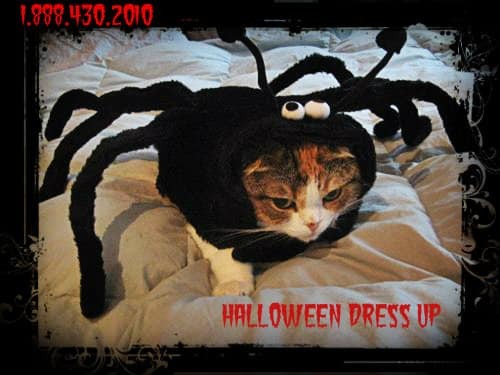 That poor kitty – having to be subjected to dressing up like a spider for Halloween, LOL! I bet you can relate though, huh? How many times has mommy forced you into a pretty little sissy dress as part of your petticoat punishment, hmm? And how about for Halloween? Is she insisting on dressing you up as a ballerina or a princess fairy? Bet she thinks you will look absolutely adorable in pink and lace and ruffles! Now now, you know better then to argue with mommy – after all, like I always say, Mommy knows Best! !